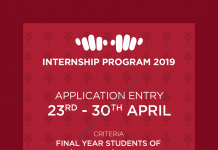 Online Applications for 2019 TIGP Taiwan International Graduate Program TIGP International Internship Program (TIGP-IIP) will be open from January 1st to February 28th, 2019. The Taiwan International Graduate Program is pleased to announce that we start to accept applications to our 2019 International Internship Program (TIGP-IIP) in January 2019. The TIGP is a great opportunity for International Internship in Taiwan. The Taiwan International Graduate Program TIGP is a unique all-English Ph.D. program supported by Academia Sinica, the most prestigious research institution in Taiwan. In collaboration with top-ranking local research universities, the TIGP International Internship Program would like to invite outstanding young scholars from around the globe to experience Taiwan’s top-notch scientific research facilities and to participate in build an intellectual network of people from different ethnic and cultural backgrounds. Students pursuing a Master’s degree and holding a B.S. degree. Students/ Individuals who have attended TIGP-IIP program before are not eligible to apply again. Taiwan International Graduate Program TIGP and the hosting International Internship Program Taiwan PI will together offer NTD 30,000/month-tax free (~USD 1000) for two months. (TIGP will provide a monthly stipend of NTD 20,000/months and the sponsoring faculty will provide an additional monthly stipend of NTD 10,000/ month). In addition, half of the cheapest round-way airfare at an economy class of the batch will be provided to participating interns upon completion of the training program. Note: Stipends will be given after the 15th of every month in cash. 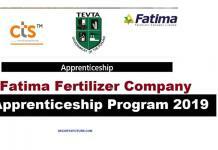 Airfare will be reimbursed only upon successful completion of the internship. (Please check the airfare comparison websites before you purchase the ticket.) Only the cheapest routes will be reimbursed. If the interns are from same location in the same batch, only the cheapest airfare price will be reimbursed. The amount of airfare reimbursement will be made according to Academia Sinica’s regulation. The airfare reimbursement will be given 1 week before the internship end. On-campus/ Off-campus accommodation will be helped to arrange by the TIGP office if the interns work in AS and the students will need to pay for the cost. Note: Taiwan International Graduate Program TIGP office will not provide any pick up service from airport to Academia Sinica/ University to the selected interns, only the transportation information will be provided. Please make sure you are able to travel alone before you start application. Apply For International Internship Program at Taiwan by clicking the Apply Now. 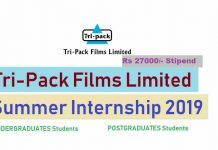 Read All the Instruction before Applying TIGP International Internship Program 2019. Step-2: Select ‘Create account’ to create an on-line IIP-2019 application account. Step-3: Enter account information and password. Step-4: Click on ‘Save’ to confirm and create an on-line application account. Step-5: Wait for a while, once your account is created, you will receive a message ‘your account has been successfully created’ on your computer screen. Once you have created an on-line application account, you can login to complete and submit the application form.